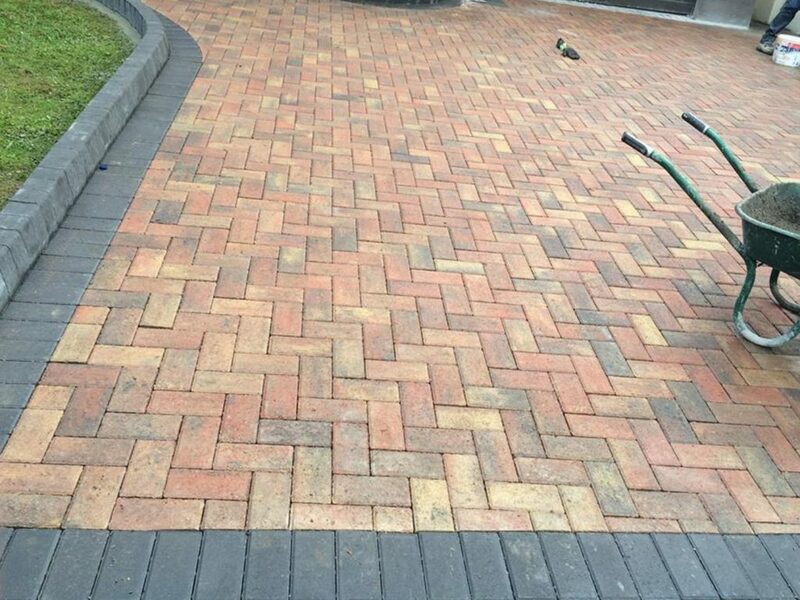 Are you looking for a registered, reputable Cork paving contractor who can replace or install block paving on your driveway in Cork? Call Ideal Drives and Patios. 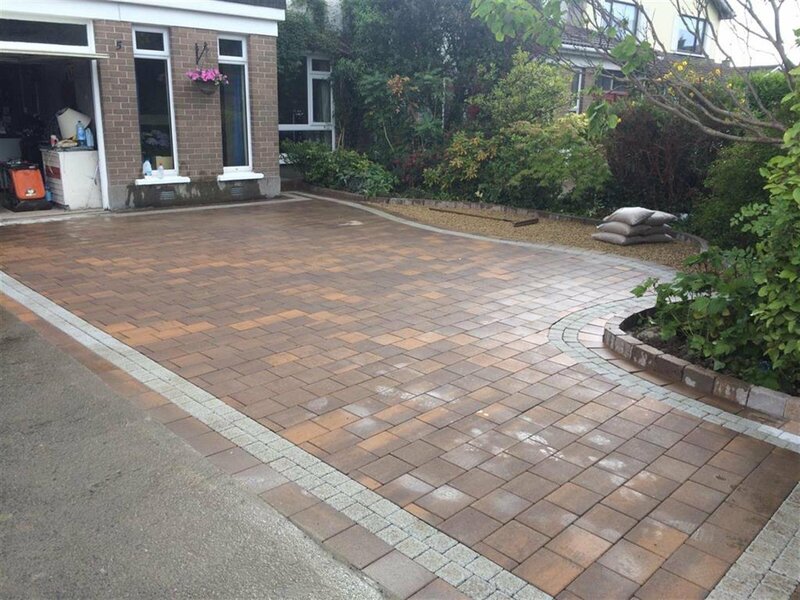 Based in Douglas, we cover North and South Cork for all types of driveway installations, specialising in block paving with options on paving patterns and styles. All work is done to the highest of standards with multiple Cork paving styles available. We use only reputable paving suppliers like Kilsaran and Tobermore to ensure a long term, durable block paved driveway in Cork. Block paving makes a great long term and durable driveway or patio option. Easy maintenance, multiple colours and styles to suit any home. 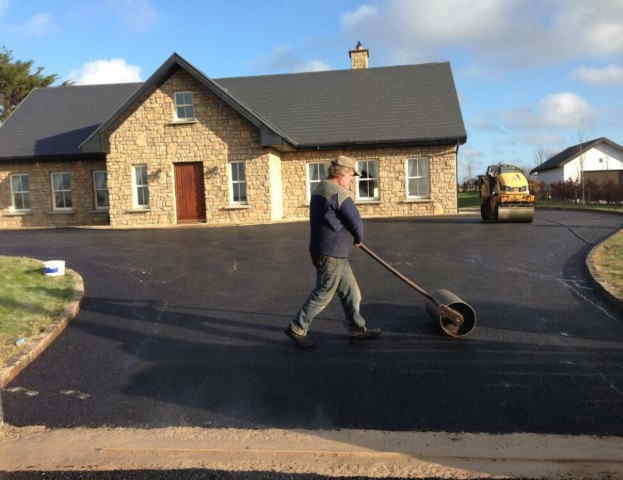 An average block paved driveway in Cork is installed within 3 days from start to finish. You can park on it right after we have finished it. CAN YOU PUT BLOCK PAVING OVER AN EXISTING SURFACE? Unfortunately, block paving requires a solid, even base which allows water to permeate through it. This is why on every job, we install a permeable base which is machine compacted to ensure a solid foundation for your driveway that is suitable for any type of vehicle. 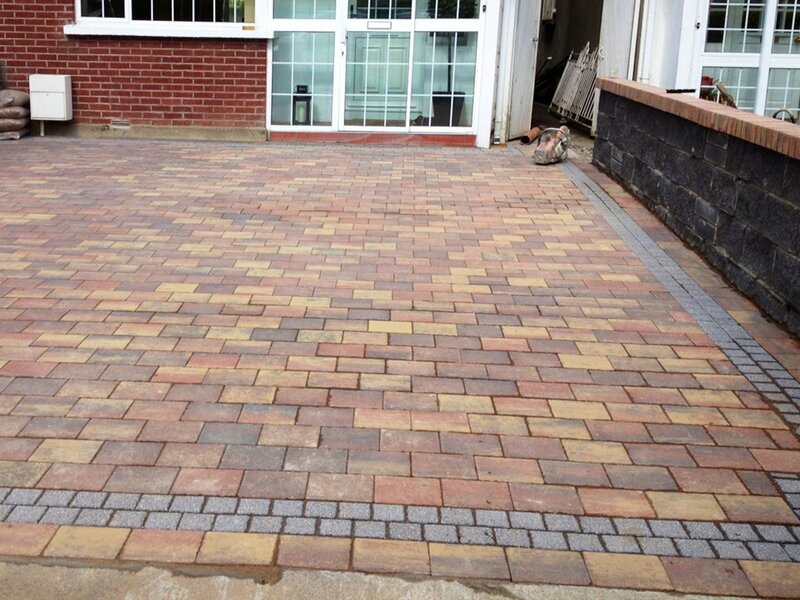 All our block paving installations are rigorously installed in Cork. Starting from excavation to installation a new foundation for your driveway which we machine roll, vibrate and compact with a 15 Tonne roller to using approved screeding sand and only using quality block paving products. 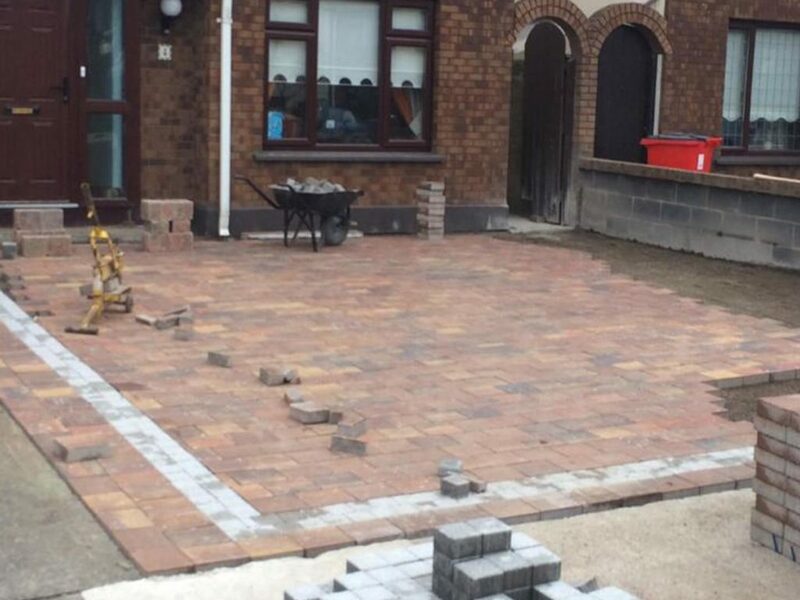 During our free no obligation visit in Cork, we can discuss if your driveway requires drainage, level alterations, a dropped kerb or the type of block paving installation you are looking for (standard paving or cobblestone). Get a quality paving contractor today! We can help you with choosing the right option when it comes to your Cork paving. Give Ideal Drives a call today for a free no obligation quotation and we can go through options that are available to you and your driveway or patio area. All work is backed by a a written installation guarantee and carried out to the highest of standards. 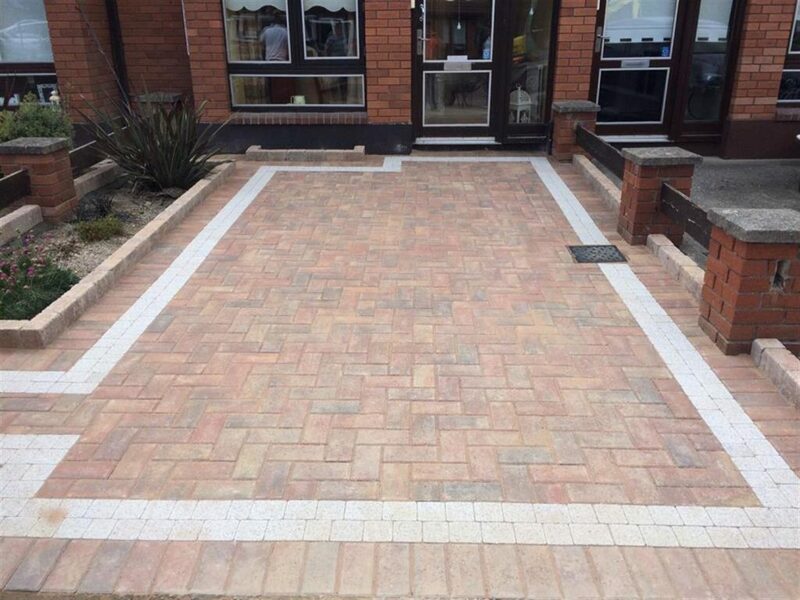 Long term paving solutions from Ideal Drives and Patios in Cork. Experts at Cork paving. Registered, affordable paving company for Co. Cork. Covering North Cork and South Cork.